Mizuma Art Gallery is pleased to present “L U S T”, a solo exhibition by MATSUKAGE Hiroyuki, opening on Tuesday 9th May. In recent years Matsukage has made work that transcends media categorization, encompassing film, installation, band performance and more. Over the past several years he has also earned resounding acclaim for his portrait photography, having captured the portraits of over 50 musicians with the status of jazz-world legends at the Blue Note Tokyo Jam, as well as over 300 figures from Japan’s arts and cultural sphere for the weekly magazine 女性自身 (Josei Jishin) published by Kobunsha. 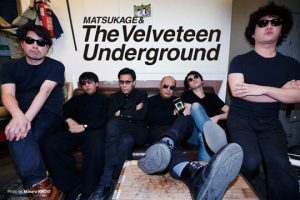 It is surely no overstatement to say that at this stage of his career, both Matsukage’s technical skills and artistic philosophy have truly reached their prime. 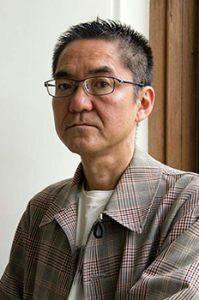 His “KAGE” exhibition in 2010 took on the theme of “art in an age when the sun is extinct and the winds have stopped blowing”. It showcased works with a marked air of nervous tension about them, as though offering a presage of the end of the world. Barely half a year later, Japan found itself experiencing the unprecedented earthquake disaster of 3/11. We can sense in Matsukage’s work the artist’s belief that through the rapid progress of globalization, the majestic romanticism of mankind has been lost. In a world in which internet search engines deplete the powers of the human imagination, and the condition of lacking nothing forms the basis of human expression as social media posts indulge our every craving for approval: in this world in which we somehow continue to exist, surely the nature of human desire itself has changed. “L U S T” poses this question with a presentation of female portrait photography which Matsukage has worked on from his debut period right up until the present, continually seeking to express, from a great many perspectives, the possible futures of mankind. The works embody the very origins of human lust, and express an overwhelming beauty. Additionally, in the gallery’s smaller exhibition room and Japanese room space we present the concurrent exhibition “Matsukage: Early Days”. What was it that Matsukage Hiroyuki’s eyes saw as a high school and university student, as he continued to probe the possibilities of expression with every click of the shutter? This exhibition attempts to engage that question with a presentation of significant photographic work and other documentation from this period in the artist’s career. 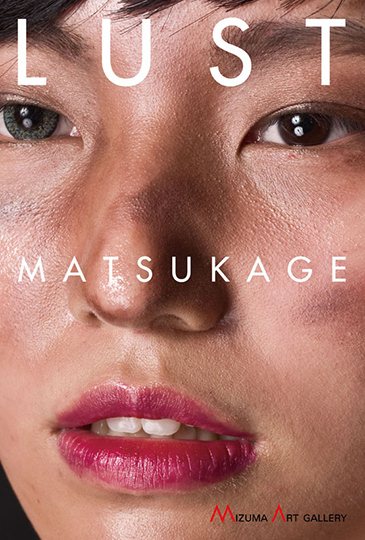 Why does Matsukage have such an affinity with portrait photography? Through the medium of photography, what is it that he seeks to express? 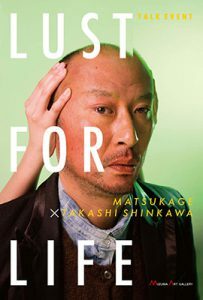 By means of these two exhibits, spanning 30 years of his career, Matsukage Hiroyuki’s solo show “L U S T” invites us to discover answers. Shinkawa began his career as a writer after working in publishing. His essays on contemporary art have been featured extensively in national newspapers and magazines. He is known for his major publication Zanzou ni Insutoru: Butai Bijutsu to iu Hyougen (Kohrinsha). Major works as an editor include Horaisan: Sai Ko Kyo to Daichi no Geijutsu-sai no 15 Nen (Gendaig-Kikakushitsu). In addition to his work in the writing profession, Shinkawa also works in exhibition design, as an editor and schoolteacher. * Please note that capacity for this event has now been reached, and reservations are closed. Please ensure that you have included both your name and contact telephone number. Tickets will be allocated in the order in which messages are received. Ticket sales will cease when all tickets have been allocated.